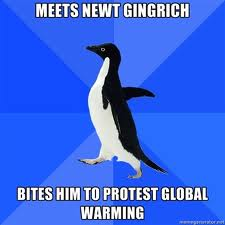 A penguin bit Newt's finger. For him a Band-Aid seemed to do. Please pray for the left-winger.